Though most is imported, food is very good in Bermuda. 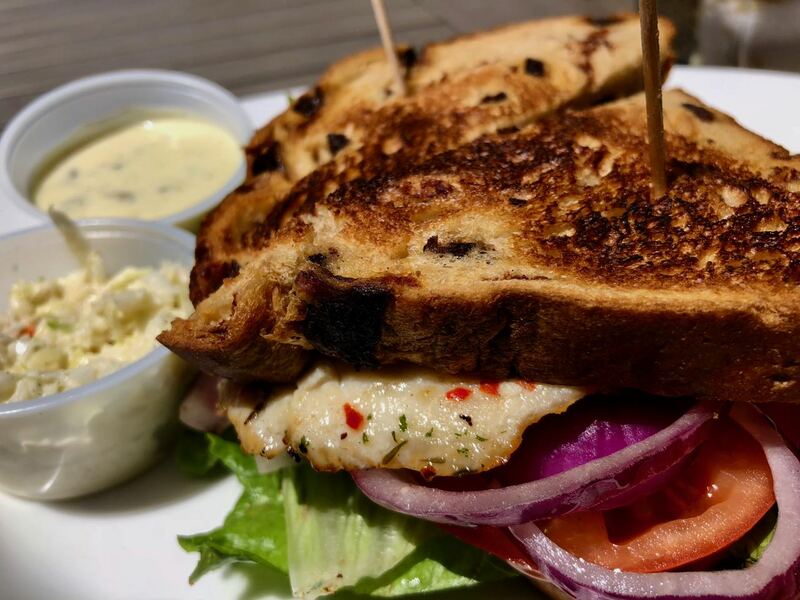 A local favourite is fish on raisin bread with cole slaw on the side. 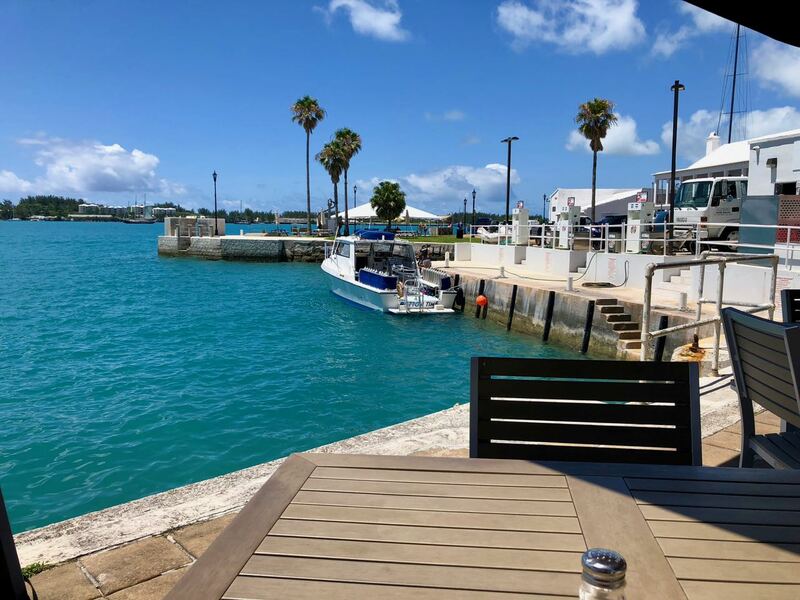 The Wharf is one of the three major restaurants in St. George’s town. Here’s the vista from my table.